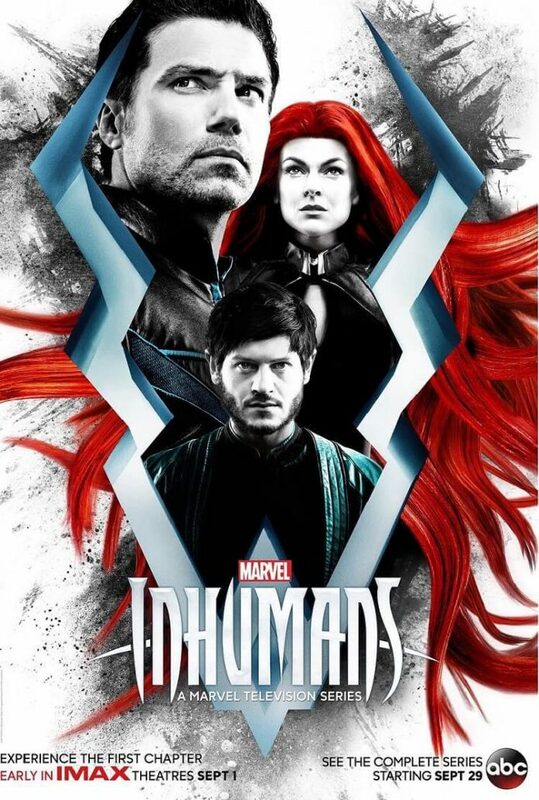 Marvel’s upcoming TV Series, Inhumans revealed a new poster for the series. They also announced about the premiere of the most awaited show. The grand premiere of the show is slated to release in IMAX theaters on September 1, 2017, only for two weeks. ABC announced that the show, Inhumans will air from September 29, 2017, every Friday on ABC from 8 – 10 pm EST. The cast of Inhumans includes Eme Ikwuakor who is playing Gorgon. Gorgon is a cousin of Black Bolt and a member of the Royal family. He leads the Attilan’s military. His strength is his strong legs by which he can generate destructive seismic waves with just a single stomp. Ken Leung plays the role of Karnak, Black Bolt’s cousin, and advisor. He is gifted with the ability to see all the mistakes in people, plans, structures and everything. He is Black Bolt’s supporter and strategist. Anson Mount is playing the lead character, Black Bolt. He is the dynamic and energetic King of the Inhumans, who has such powerful voice that even the slightest whisper can destroy a city. Black Bolt communicates silently. Anson has the talent of depicting the complexed personality of Black Bolt without uttering a single word. Serinda Swan will be seen playing Medusa. Medusa is the wife of Black Bolt and hence, Queen of the Inhumans. She is Black Bolt’s most trusted advisor. She is a warrior who has the ability to move and control her hair magically. Next character is Crystal who is played by Isabelle Cornish. Crystal is the youngest member of the Royal family and has the talent to control elements. She is an independent woman and is deeply devoted to her family. Iwan Rheon plays the character of Maximus. Maximus is a clever and charming Inhuman who is completely devoted to the people of Attilan. He is also the brother of Black Bolt. He has the intense desire to have the crown for himself. Triton is played by Mike Moh. Triton is another cousin of Black Bolt. He is the athletic one who has the ability to live underwater for long. Sonya Balmores will be seen playing Auran. Auran is the Head of the Royal Guards on Attilan. She is loyal to the King of Attilan and is a capable woman.